A Wellness Committee was formed in 2015 composed of faculty members, residents, and CRNAs. 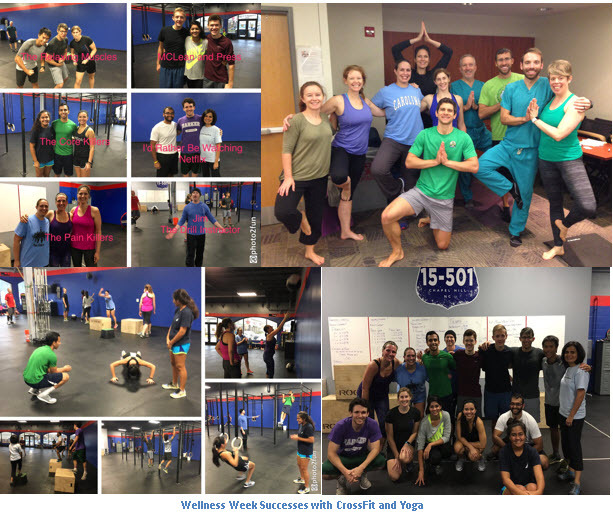 The purpose of the Department of Anesthesiology Wellness Committee is to promote the physical and emotional health and well-being of all faculty and staff. In addition to providing resources within the UNC committee and local area such as Taking Care of Our Own, Employee Assistance Program, NCPHP, and Mental Health Provider Referral List, the committee developed a Resident Support Program. We know that adverse events in the OR can be challenging to cope with and want to ensure you have support, time to complete documentation, time to emotionally process the experience, and skills to use to cope well in the aftermath of these potentially challenging times. The Resident Support team is comprised of 15 faculty members, who are available to support you following these events. Residents nominated faculty members, who then volunteered and were trained to serve in this role. The department goes one step further in their commitment to Resident Wellness by sponsoring an annual class retreat. Each class is provided with both funding and a selected weekend free from clinical duties to relax, recharge, and enjoy time together.